Being able to consume, make sense of and action insights from data is the key to success in the Data Economy. 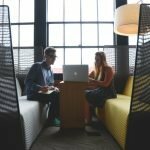 To do this executives and employees across your company need reports, but these are often complex and time consuming to conceptualise and build. Businesses need to make decisions fast and their data needs change quickly – by the time a report is developed the insights it provides may already be obsolete. Looker is addressing this problem by providing a flexible data platform that let’s teams across the business visualise data and collaborate on insights, all within a strong governance framework. This article focuses on the developer benefits of the Looker platform. Most of the BI tools available in the market today do not allow parallel development by multiple developers at the same time and is one of the key reasons for high dev time of BI reports. Looker provides a data modelling layer which is separate from the visualisation components and can be used by the developers to transform the data, join different tables and create new variables, etc. which can then be used by the business teams to perform the analysis. This works extremely well because multiple developers can work on a model at the same time and merge their work with active Github sync. Each developer can create their designated variables or transformations and can commit the changes and deploy to production when suitable. This helps in collaboration but also helps during testing phase and lets you go back to an older version if there are more bugs during recent development. With this in place teams can work in Agile mode effectively and efficiently. If this gets you interested, read further to understand more about Looker! Looker is a web-based visualisation platform which converts GUI based user input into SQL queries and send it directly to the database in live mode. It has numerous in-built visuals to visualise the data in real time. Since it is always working live with the database it works in harmony with cloud data warehouses like Amazon Redshift and Snowflake which scale to manage very high levels of user concurrency and query load. 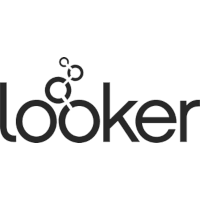 Looker makes use of a database or data warehouse to store the data it is analysing and provides a wide range of connectors out of the box. Looker always needs a database connection since it is always working in live mode using SQL queries, as opposed to ingesting flat files like csv’s or excel sheets. SQL databases are the oxygen for Looker and will be a critical part of your analytics programme. Once connections are made and tested, we move to adding/selecting which tables we want from our database and defining the relationships. These are done in LookML. 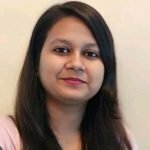 LookML is the backend for Looker, effectively SQL on steroids, and provides a data modelling layer where the developer can define relationships, add new variables, define drill down features, plus a lot more which we will cover in depth in our upcoming blog on advanced LookML functionalities. Don’t forget that while you are working on each of these components, multiple developers can work in parallel, massively speeding up how fast you can develop the base for Looker. The LookML can be used by various teams and reports / work done in one project can be very easily referenced by others (assuming they have been given the right authority and permissions). Once a version of the LookML model is ready you can start creating the visualisations (and you can keep adding too, evolving or versioning the model as needed as requirements change). Looker has 2 ways to develop these: Looks and dashboards. Looks are singular visualisations useful to analyse data in an ad hoc basis and share one off insights with the required team/stakeholders. Dashboard on the other hand allow multiple visualisations and KPI’s to be presented together which can be linked in multiple ways to derive insights, track performance and support data driven decisions. Dashboards in Looker are flexible and can auto adjust the various components on the dashboard to fit the screen dimensions. Existing Looks can be also be embedded within the dashboards. If you are an organisation which have their data structured in databases, then Looker is an excellent product to get you the insights you need, fast! Looker has both the flexibility to meet a wide range of requirements and scales to support your whole organisation. If you’d like to learn more, stay tuned as we’ll be publishing several deep dive post on Looker and LookML functionality in the coming weeks.